We are confident that you will enjoy the products you purchase from Epic Pool Supply. However, if you are not completely satisfied with a product you've purchased from our website, even if you just changed your mind, you may return the item in new condition within 30 days for a refund. You will be responsible for the shipping costs to return your product, if the unit has been placed in the water, you will be responsible for a 20% item restocking fee. In order for products to be considered in "new condition," they must be unused, unassembled, and contain all original product packaging and accessories. If you chose to cancel your order within the first 24 hours you can do so free of charge. After that time period elapses, before the product ships, you'll be subject to a 10% handling fee. If you cancel or refuse the shipment after the product has left the warehouse you'll be subject to a 20% restocking fee and the cost of shipping. 1-866-928-3150, for assistance. You will be issued a "Return Authorization" number for the item you wish to return. Make note of the return authorization number for your future reference. Address the package to Epic Pool Supply' return address below. Please open and inspect your items immediately upon arrival. 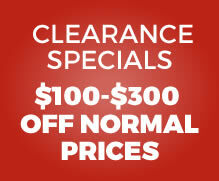 You will have 10 days from the day you receive your order to make claims for any item damaged during shipping. After this time period, claims for damage incurred during shipment will be denied. For assistance with your claim, please call our e-commerce with Epic Pool Supply at 1-866-928-3150. We do not refund expedited shipping. Epic Pool Supply will process your refund promptly upon receipt of your returned item - within 30 days at the most. Your refund will be in the same form of payment you originally used to purchase your product. The total refund amount will be the "total unit price" for the item listed on your packing slip, minus the 20% item re-stocking charge. Your refund will include any appropriate sales taxes paid, and will exclude return shipping and handling charges or any other service charges. 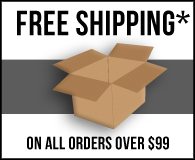 Our "Free Shipping" covers all standard shipping and handling charges to get our product safely from us to you. It does not include expedited shipping, non-standard shipping, return-shipping, customs and/or import/export fees, or fees charged by any party other than Epic Pool Supply. If you decide you would like to return a non-defective item you will be responsible for the shipping costs to return your product to us as well as a 20% item re-stocking fee.